You will soon discover that what you thought was a problem was actually masking some very valuable underlying strengths that you didn't realize you had. To become more effective when it comes to anger I have identified six fundamental components. Each is presented here seperately. First we need to accept the notion that we may in fact have a problem with anger. If you've been receiving feedback suggesting that you do have a problem or that you should get help, it's a good guess that these people are onto something. Not everyone gets this type of feedback. Becoming effective means to be able to listen to the messages that others are sending us as valuable, learn from them, and utilize their information to guide us toward success. This is not the same thing as being "controled" or "manipulated" by others. Success with anything cannot be accomplished without others. Typically, people think that their anger is caused by these situations and they say things like, "I got mad because I got cut off by the driver in front of me" or "that guy made me so mad." The implication here is that those events caused their anger directly, and there were no other mitigating factors. This course invites you to re-examine your relationship with anger and how it affects your life, for better or for worse. Throughout the class, you'll develop deeper skills for how to appropriately and skillfully respond to stressful, trying situations. Everyone gets mad at times. The target of your ire might be a stranger, a loved one or even yourself. Or, you might find yourself furious over external events, such as a delayed flight or a political incident. While anger is a normal human emotion, misplaced or uncontrolled anger can quickly become problematic. You can learn strategies to help control your anger. Sometimes, though, people need extra help to keep their rage at bay. Psychologists can help people recognize and avoid the triggers that make them angry. They can also provide ways to help them manage the inevitable anger that sometimes flares without warning. Absolutely, I am saying that angry behavioral needs to be controled. Uncontrolled anger looks different from person to person. Some people are quietly seething at the world most of the time. Some can’t help but dwell on events that made them mad. Others have quick tempers and may even exhibit aggressive or violent behavior. Uncontrolled anger can be hard to define. Unlike depression (which can be thought of as a dysfunctional form of sadness) or anxiety (a dysfunctional form of worry), uncontrolled anger doesn’t have a name or an official diagnosis. Nevertheless, anger can be dysfunctional, and people who experience it often don’t realize how big a problem it is. That’s because in the short term, anger can be effective. Blowing up at your kids might seem like a good strategy if it results in them doing their chores. Losing your temper at work might feel productive if it gets your coworkers to do things your way. Unfortunately, people often fail to see the long-term consequences of uncontrolled anger. Those can include health effects such as high blood pressure and increased risk of heart disease, as well as social disharmony among family members, friends and coworkers. Your friends or family members have said they think you have an anger problem or have distanced themselves from you as a result of your behavior. You have discord with coworkers. There are business establishments where you’re no longer welcome. You’re nursing a grudge or thinking about getting revenge. You have been or think about being aggressive or violent when angry. Hundreds of research studies have explored the effectiveness of therapies for treating anger. Several large analyses of the published research suggest that overall, approximately 75 percent of people receiving anger management therapy improved as a result. The majority of research on anger treatment has focused on cognitive-behavioral therapy (CBT). In CBT, patients learn to identify unhelpful or negative thought patterns and change inaccurate beliefs. One CBT-based anger treatment is known as Stress Inoculation. This method involves exposing the person to imaginary incidents that would provoke anger, providing opportunities to self-monitor their anger and practice coping methods. Family therapy helps family members resolve conflict and improve communication. It may helpful in addressing anger problems directed at a romantic partner and/or children. Psychodynamic therapy is an approach in which therapists help people use self-reflection to focus on the psychological roots of their emotional distress. Anger often goes hand-in-hand with other problems, such as post-traumatic stress disorder (PTSD), depression or alcohol problems. Psychologists can help treat those conditions while also providing strategies for managing the anger that goes along with them. If you see a psychologist for help with anger problems, you can plan on examining the triggers that set you off. You’ll explore how your experiences of anger were helpful or harmful, both in the short-term and in the long-term. You’ll probably examine the thoughts that precede your anger and explore whether they’re accurate assessments of reality. Psychologists may also help you learn to resolve conflicts in a more constructive way and rebuild relationships that have been damaged by your anger. Anton Counseling & Health Psychology has a unique focus of also replacing our focus on these vulnerabilities with a focus on our under-utilized strenghts. Unfortunately, not all anger management classes are based on the latest scientific evidence. If you’re seeking help for your anger, look for a trained mental health professional with experience treating anger. They may offer treatments in one-on-one or in group settings. 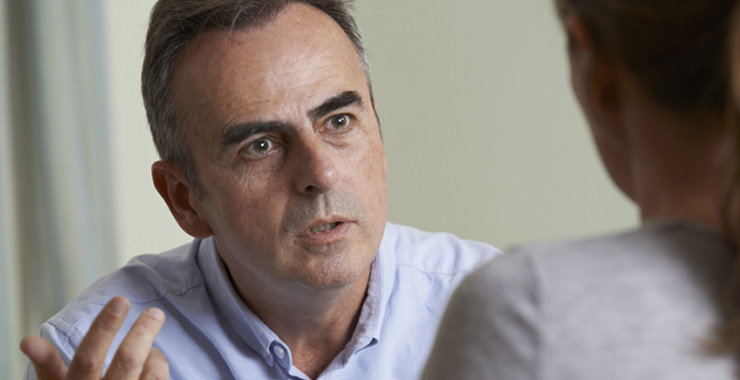 Psychologists are highly trained experts who tailor a treatment plan to address the unique needs of each patient.